The journey I’m sharing here began by accident and continues still. It wasn’t planned at first, but evolved. 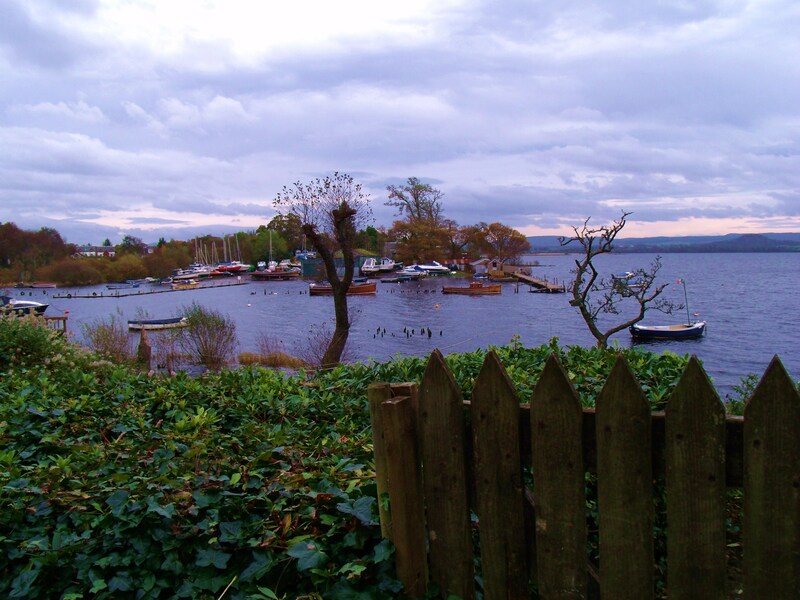 Torn between starting a blog with the emphasis on images or text, I decided to do both and began at Balloch, where the south end of Loch Lomond becomes the River Leven. 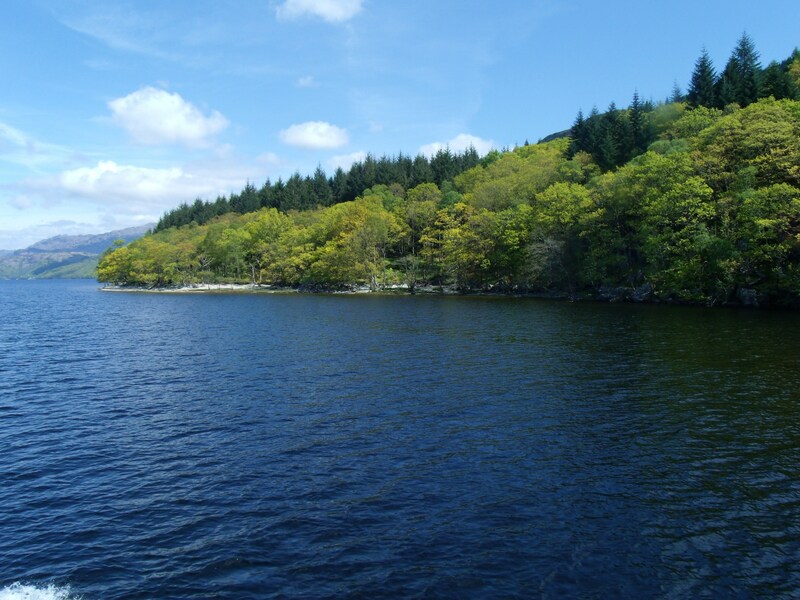 The rich and abundant history of the loch and its many islands gave me much grist for the writing mill, and the glorious scenery gradually made the imagery take over. Various pages I previously published are only a click away in the sidebar opposite. 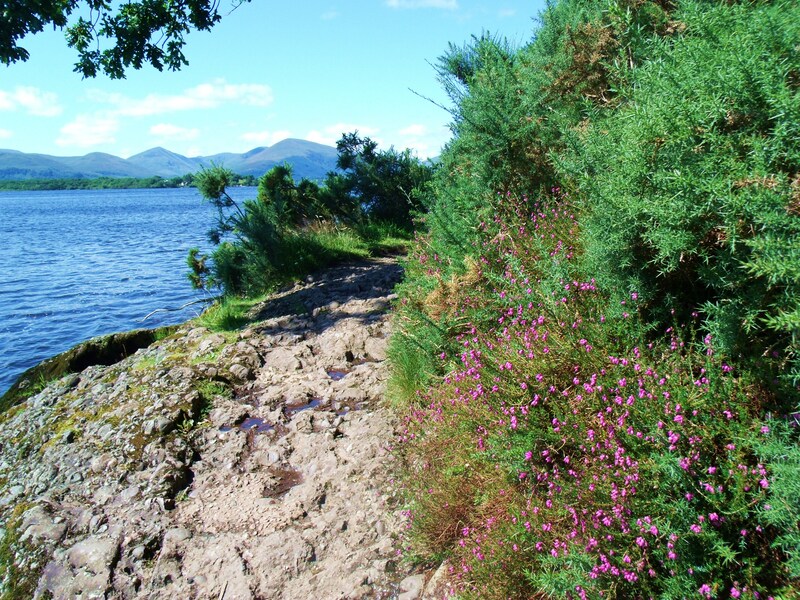 I was exploring the East side of Loch Lomond, camera always at the ready, when I stumbled on the West Highland Way. (pun intended). 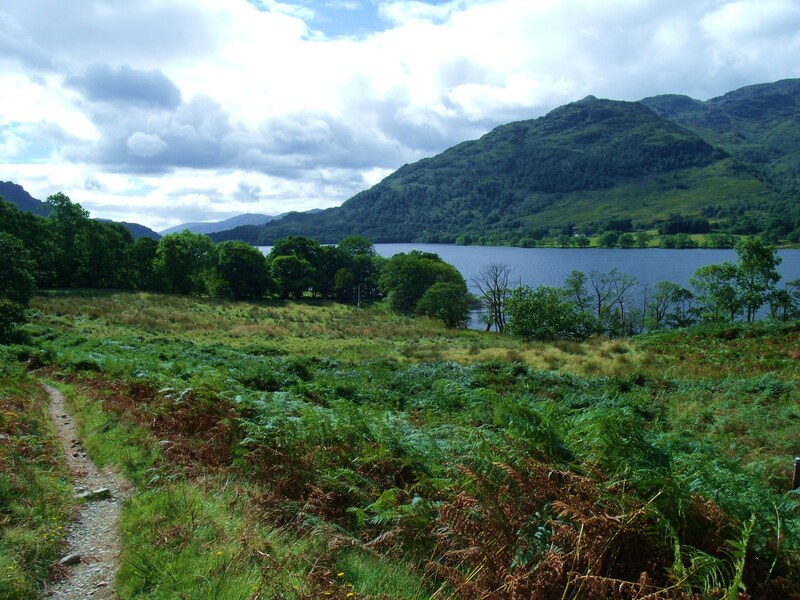 The West Highland Way is 96 miles long, stretching from Milgavie, near Glasgow, to Fort William. 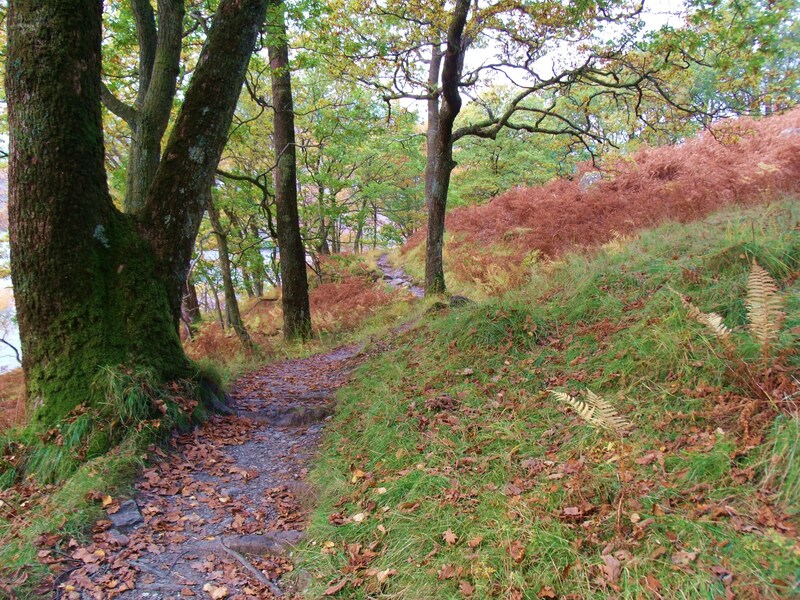 It uses old military roads, disused railway tracks, and drovers’ trails dating back hundreds of years. 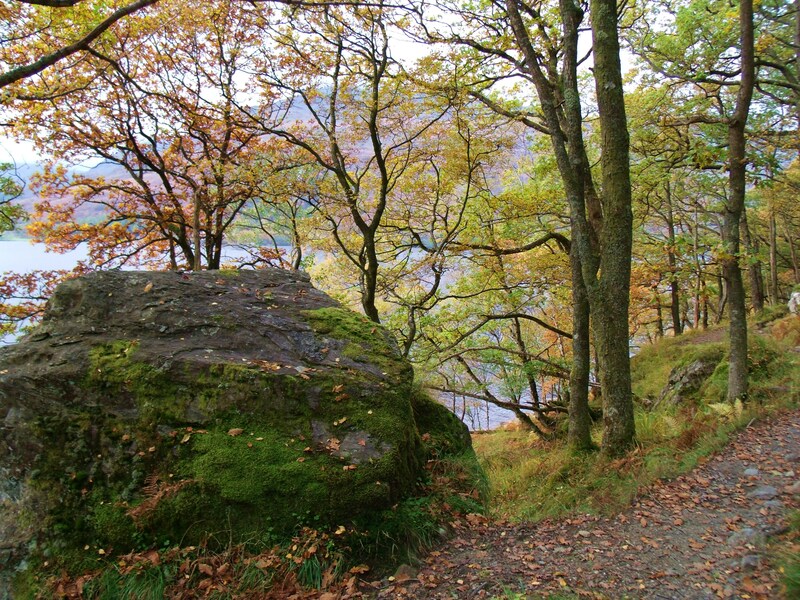 The scenery along the way is spectacular; the going a variety of difficulty levels, from easy to very challenging. 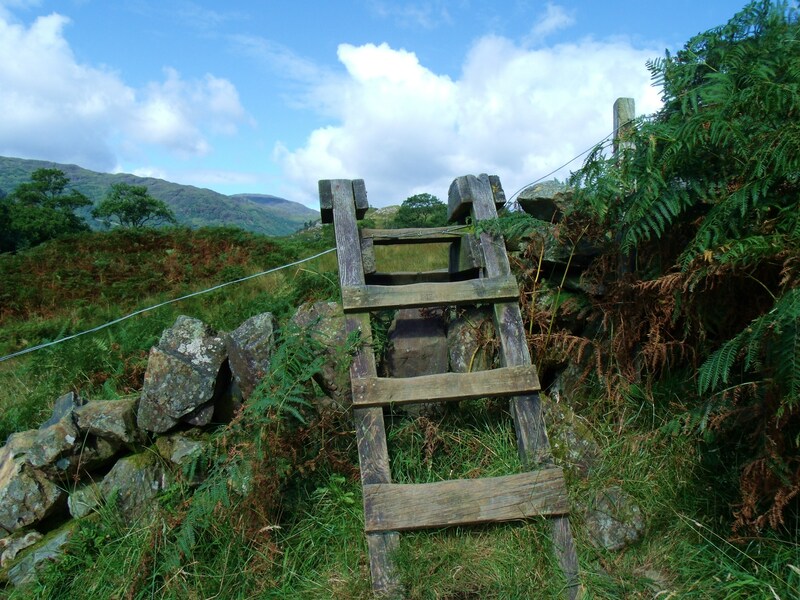 Many people, like myself, hop on and off the track, sometimes travelling by bus or boat to reach the next stretch we want to ‘do’. 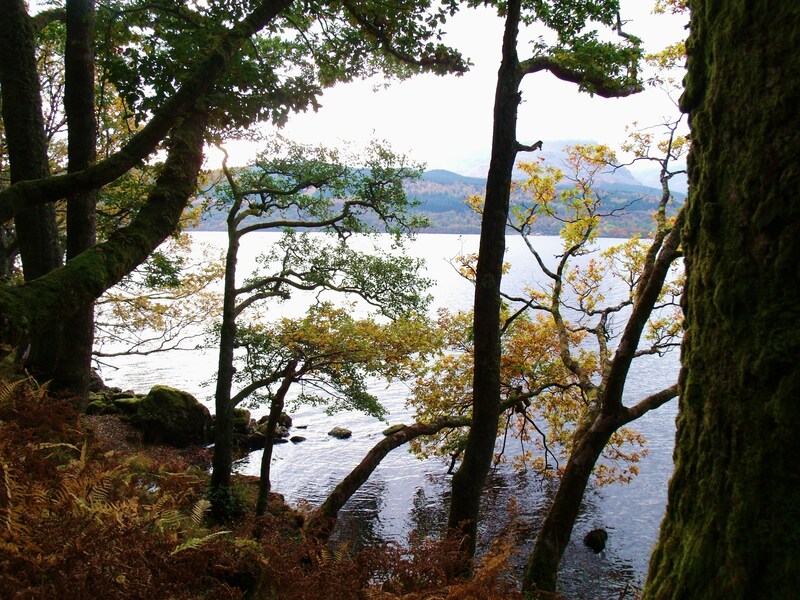 It joins Loch Lomond at Balmaha and shadows the loch all the way to its Northern tip at Ardleash. 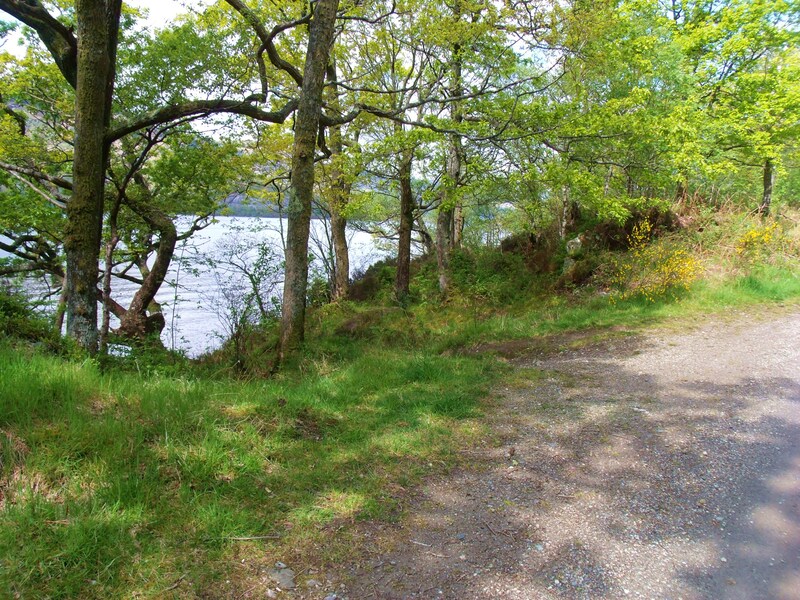 I first joined it on my way to Balmaha pier. 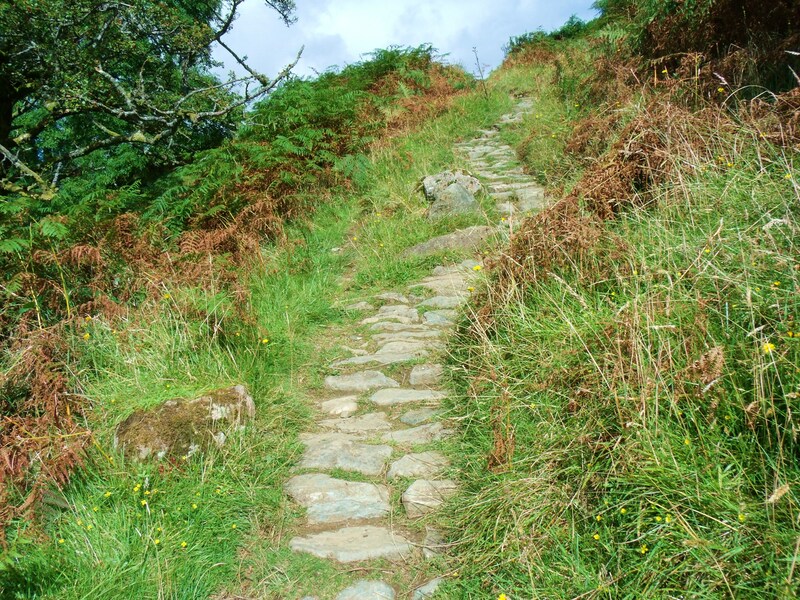 As it leaves the village, it is smooth, paved and without challenge. 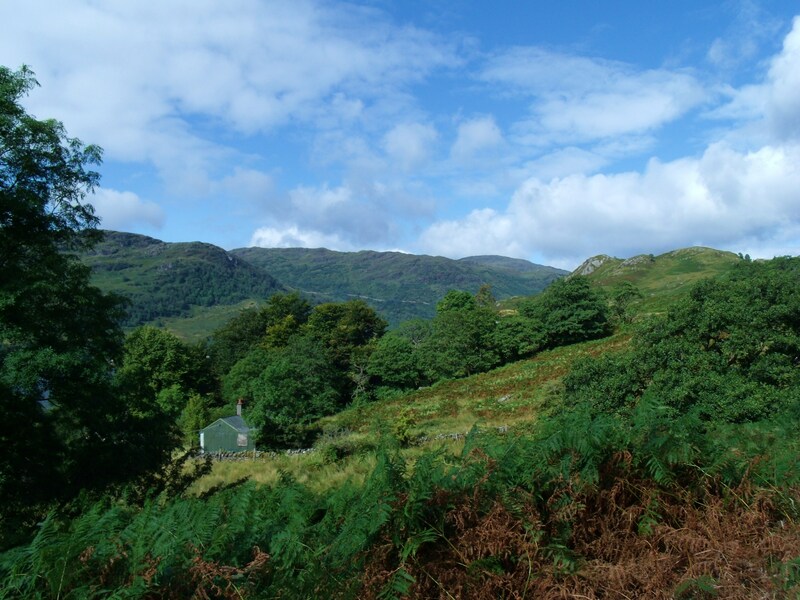 The cottage above sits at the junction of the West Highland Way and the road to Rowardennan. 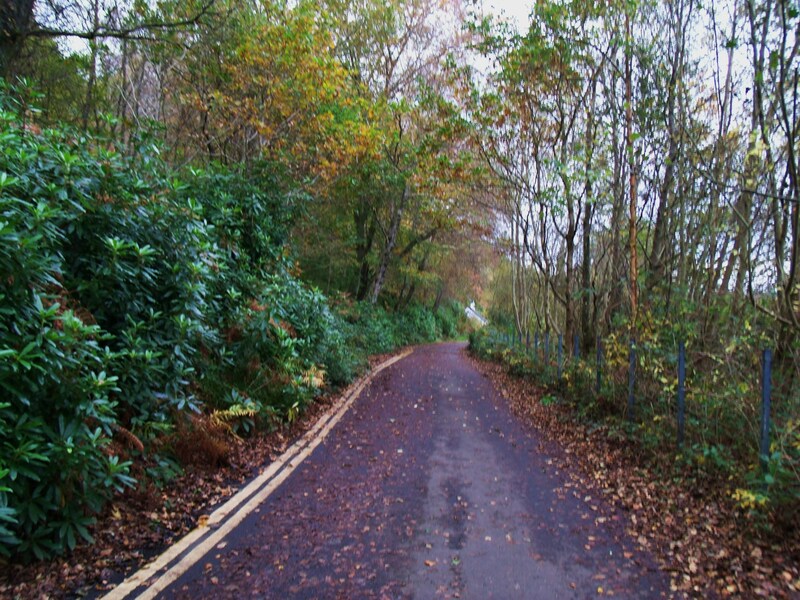 Steep gradients make the latter unsuitable for some vehicles. 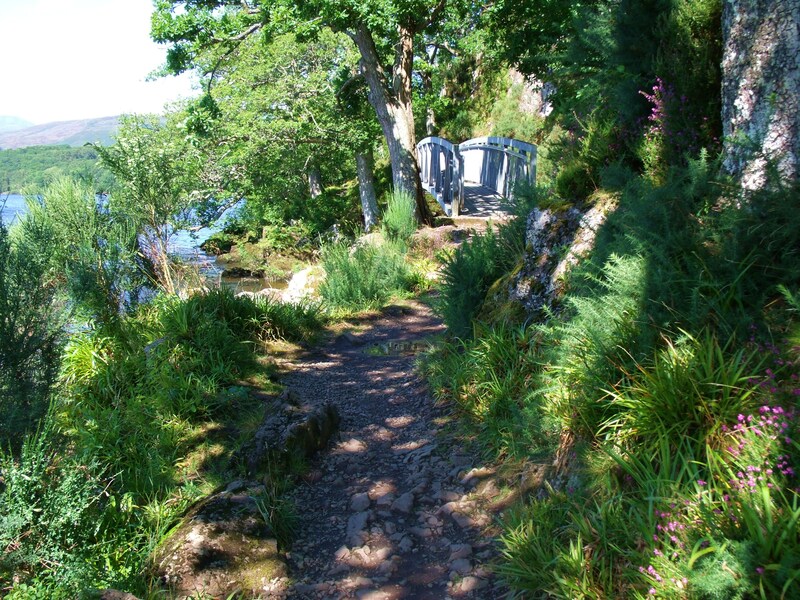 Once past the pier, the West Highland Way changes suddenly and dramatically to a rocky trail. 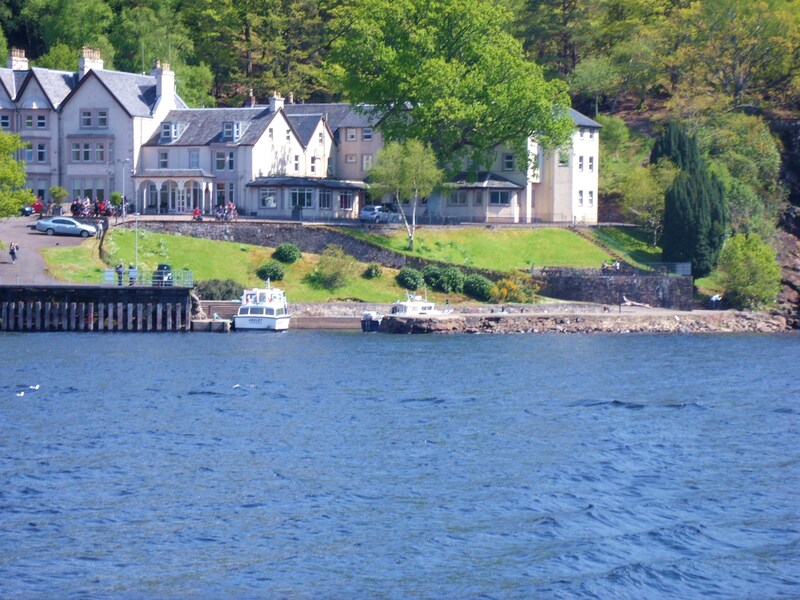 Cruise Loch Lomond is a tour boat operator based in Tarbet on the West side of Loch Lomond. 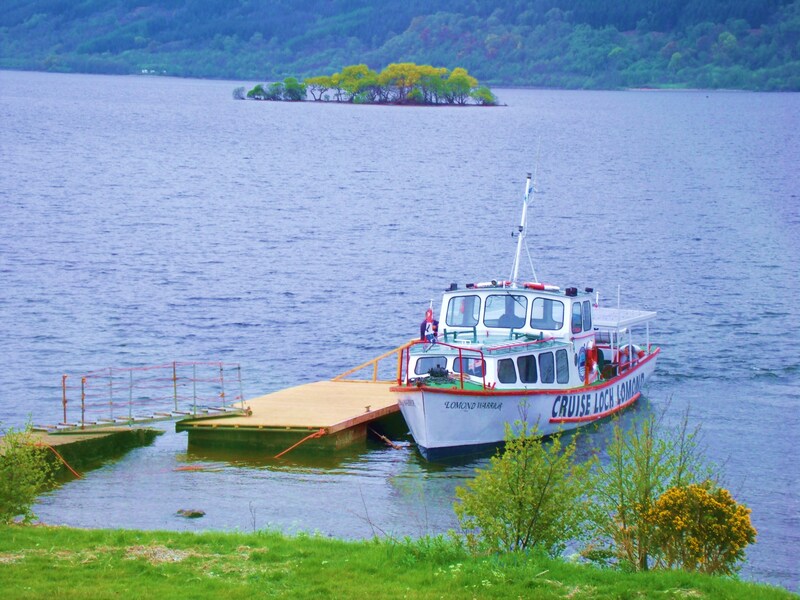 For a variety of reasons, many climbers and hikers choose to hop on and off the West Highland Way, travelling by bus or boat when the going gets too tough or time is limited – or just for the fun of it. Tick all three in my case. 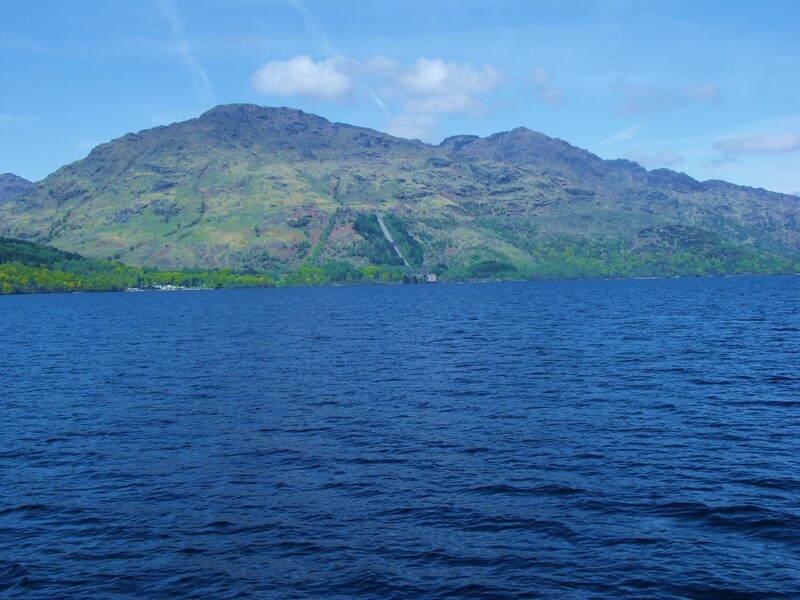 Having explored the West Highland Way for a couple of miles south and four or so miles north of the Youth Hostel, I left the more ambitious to either climb Ben Lomond or walk the 8 miles to Inversnaid while I sailed there, courtesy of Loch Lomond Cruises. 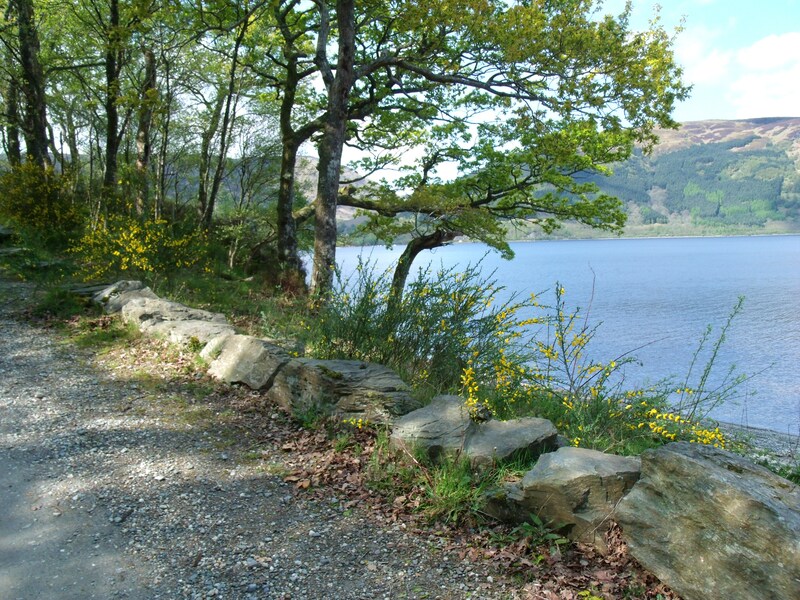 For a while, I caught sight of hikers on the Way as it winds around the loch. 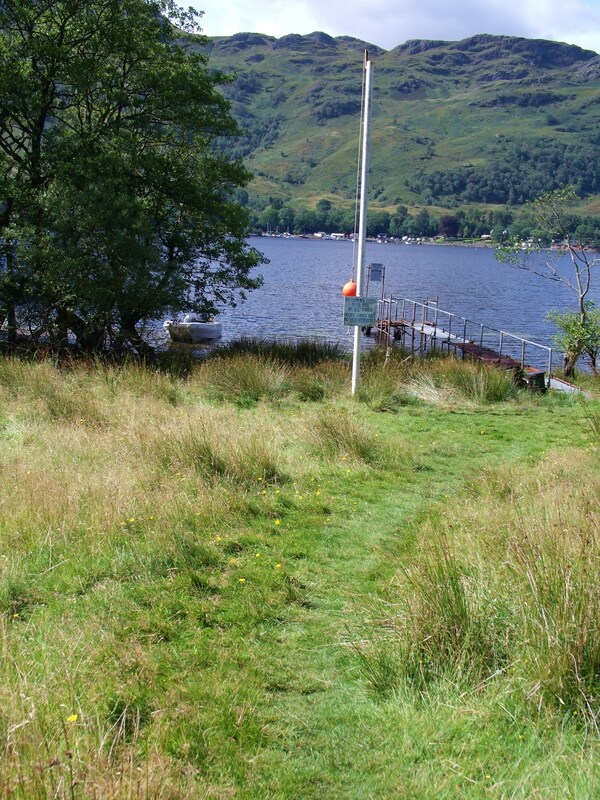 Whether hiking the trail or sailing to Inversnaid, the Loch Sloy hydro-electric plant is visible on the opposite shore of the loch. 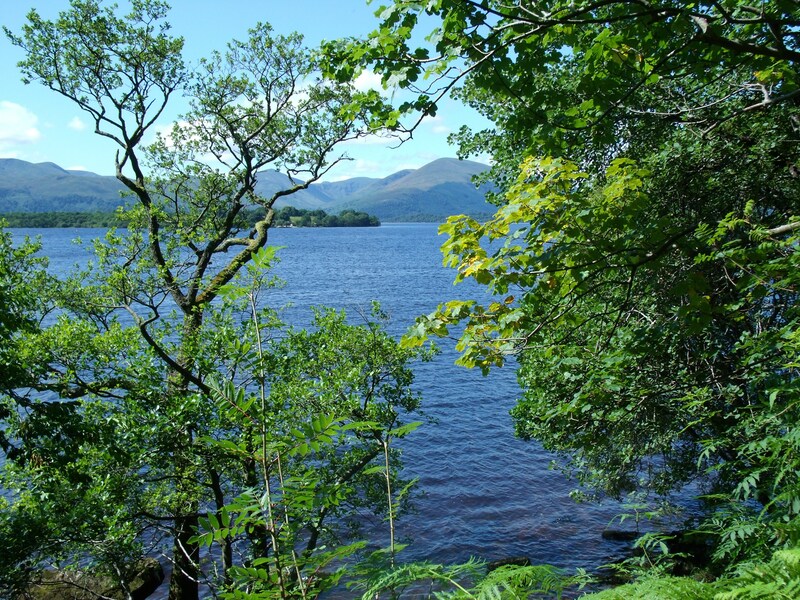 Nestled inland behind the mountains, Loch Sloy, once the gathering place of the McFarlane clan, is now a hydro-electric dam. Here we have a perfect example of perfectly green energy. A tunnel was bored the 2.5 miles through the mountain, exiting above Loch Lomond. 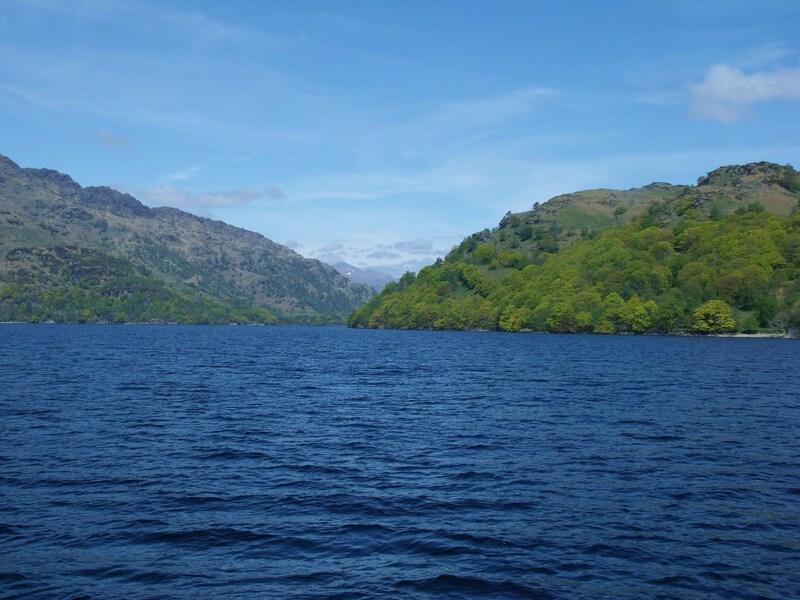 When the level of Loch Sloy rises, the excess water runs through the tunnel and empties into Loch Lomond, passing through the generating station at ground level. The resulting power is used to top up the national grid. Passing travellers can find food or beverages in the hotel restaurant. 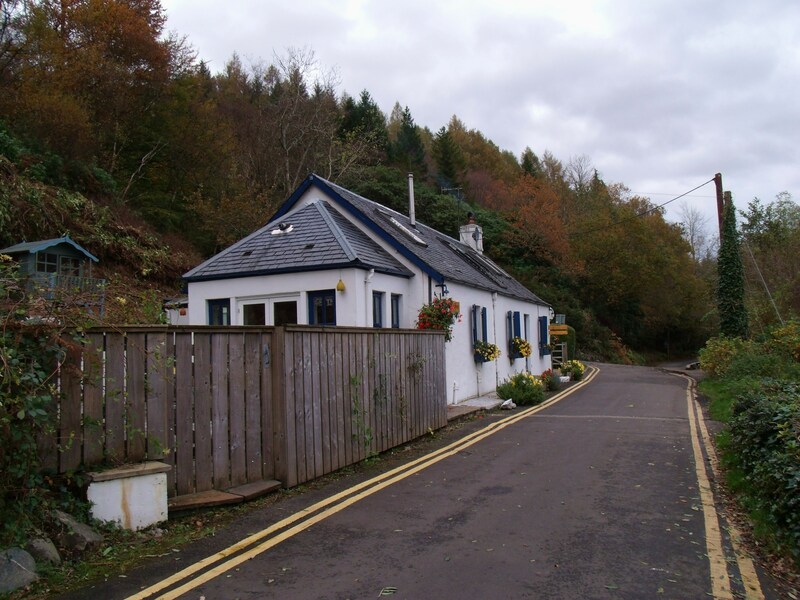 The hostelry has a long history of serving wayfarers. 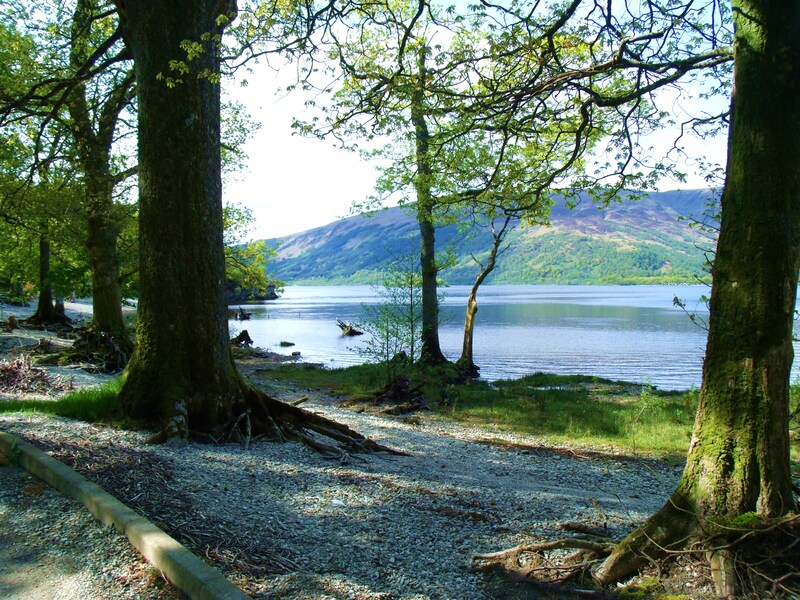 It began, as most hotels along the West Highland Way did, as a rest stop for drovers. Later when the gentry and armies moved around, extensive stables were added and living conditions for the guests improved. 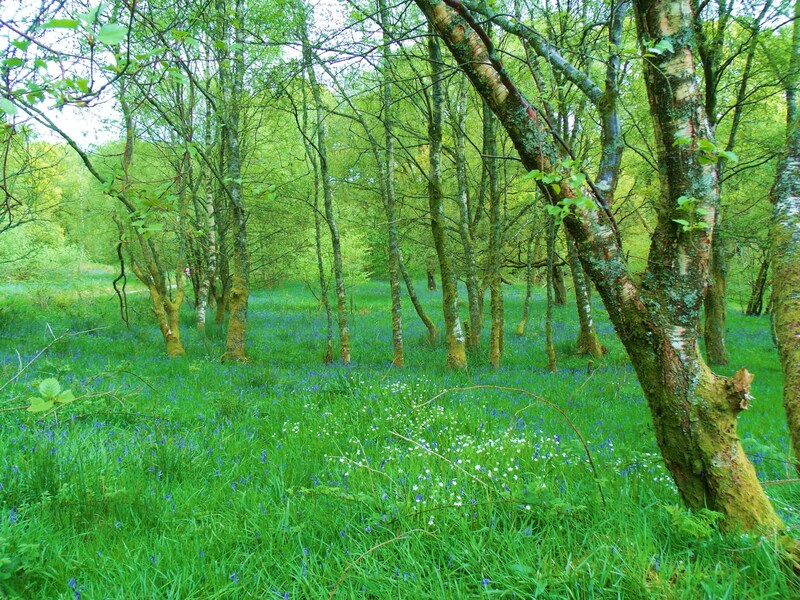 As you will notice from the colours of the foliage, my first journey to Inversnaid was in the late Spring. 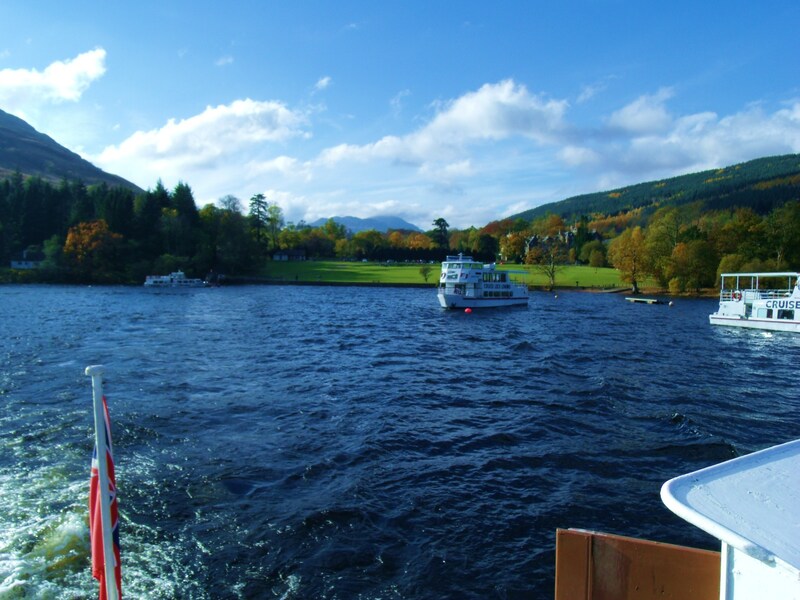 At that time, I did not alight from the boat but continued on a short cruise as far north as the Cruise Loch Lomond boats go before returning to Tarbet, headquarters of the company. 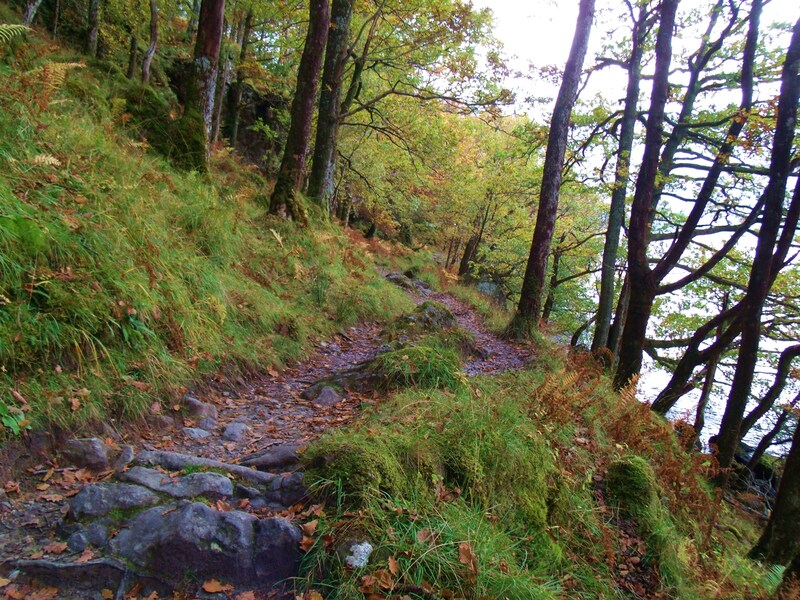 It was late Autumn when I returned to explore the woodland walk that is the West Highland Way. 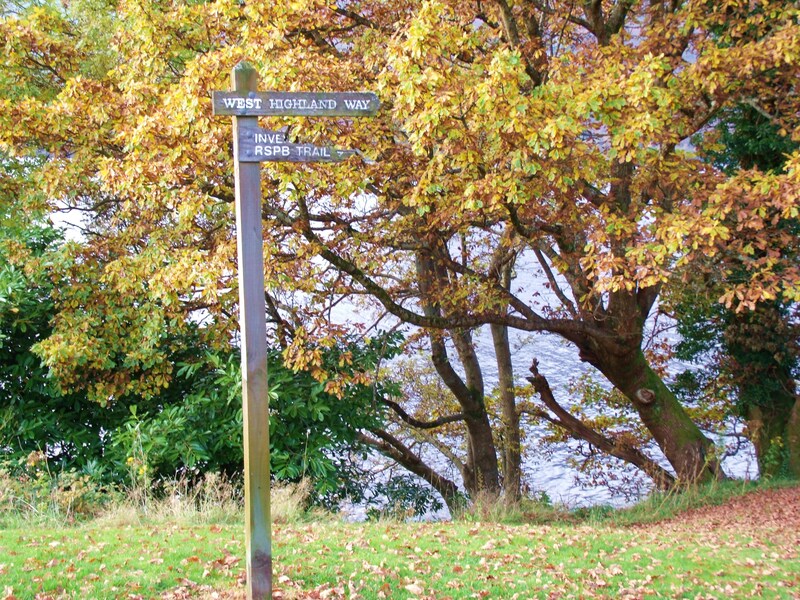 Having walked a short distance north through the woods, I returned to the pier and headed south a little way. 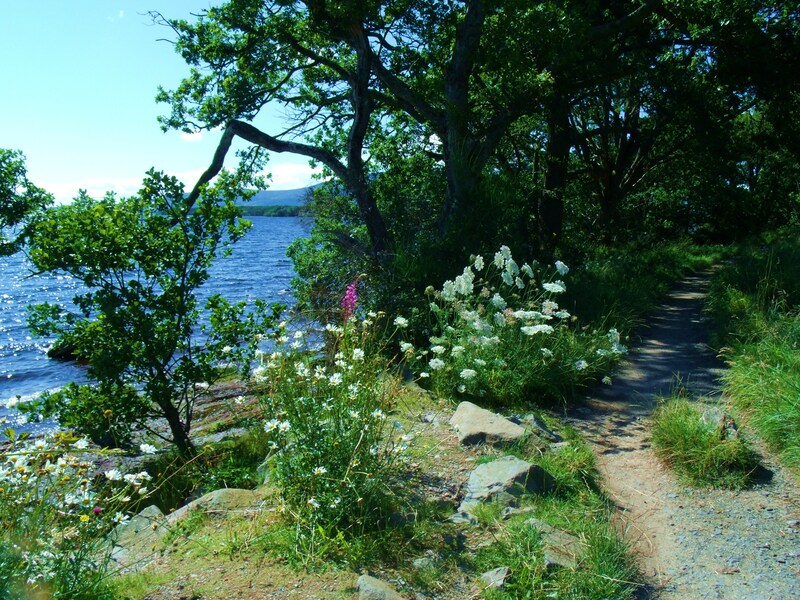 Once again, the trail meandered along the lochside. 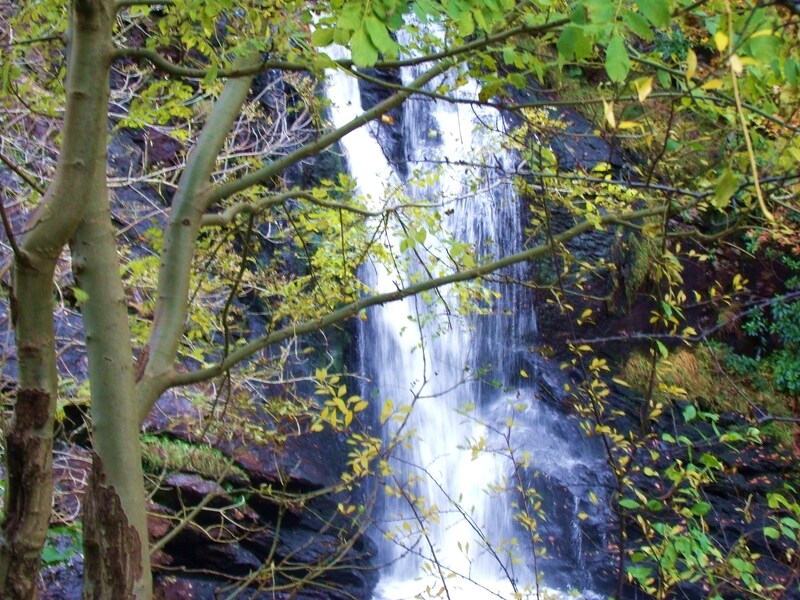 Before leaving Inversnaid on a Tour Loch Lomond boat bound for Tarbet, I took a few moments to check out Arklet Falls situated beside the pier and Inversnaid Hotel. 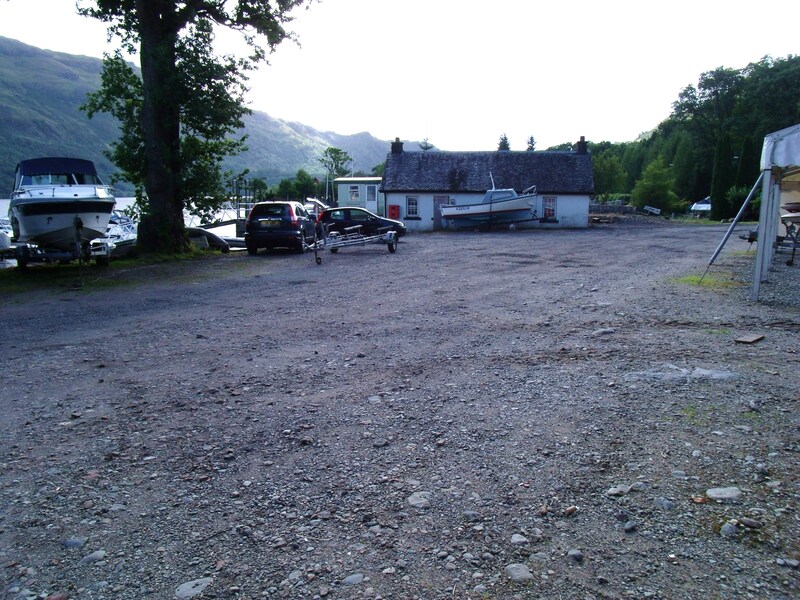 There is a youth hostel close by, but, late in the season as it was, the place was closed. 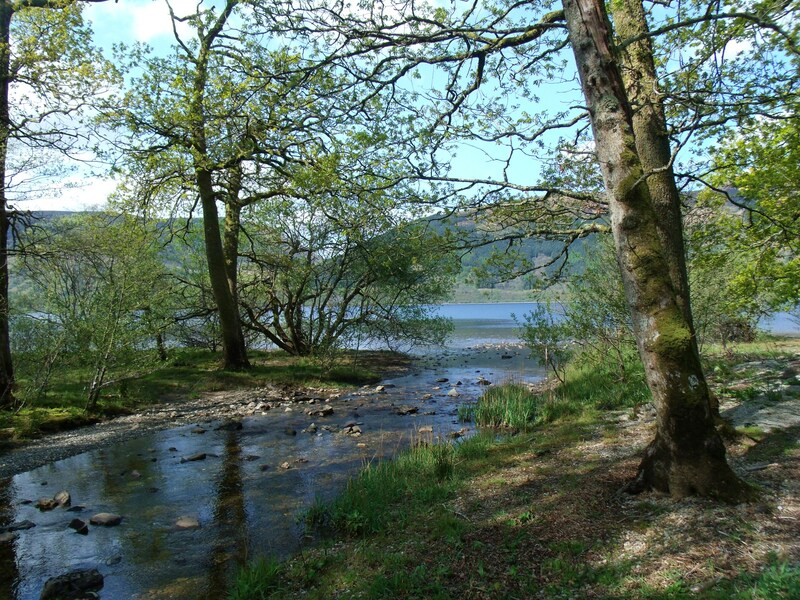 Having started my journey at Balloch at the south end of Loch Lomond where it empties out into the River Leven, I had, in the late summer, wanted to reach the Northern tip of the loch at its beginning. 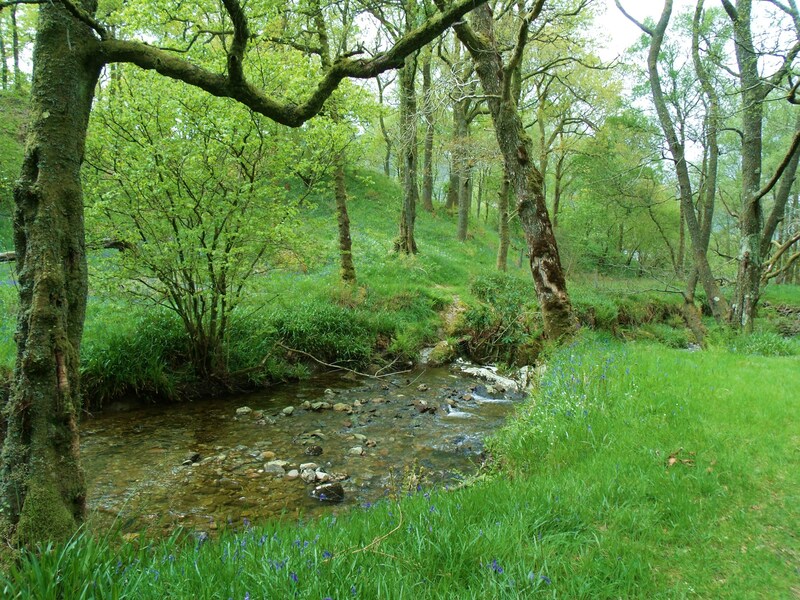 It starts where the, surprisingly small, River Falloch flows into it at Ardlui. 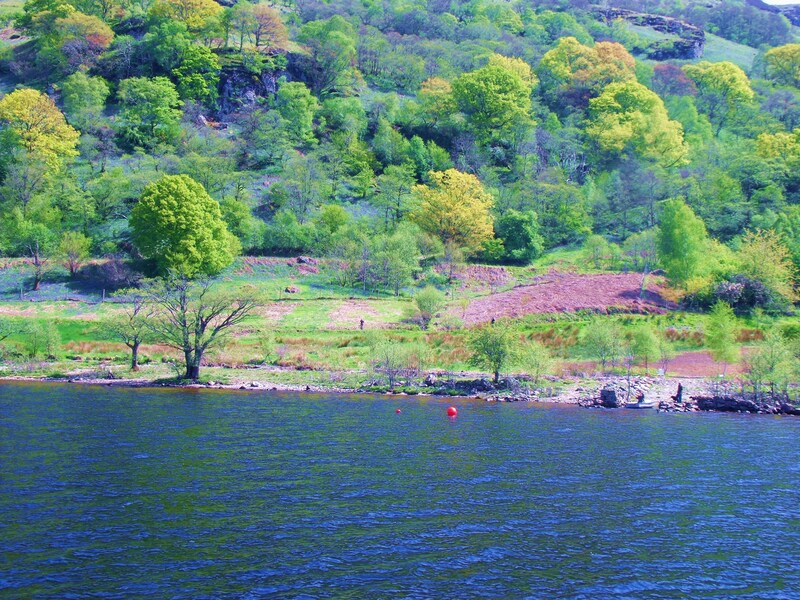 No excursion boats go further north than Inveruglas, at the Sloy Power Station on the West bank, and Inversnaid on the East. 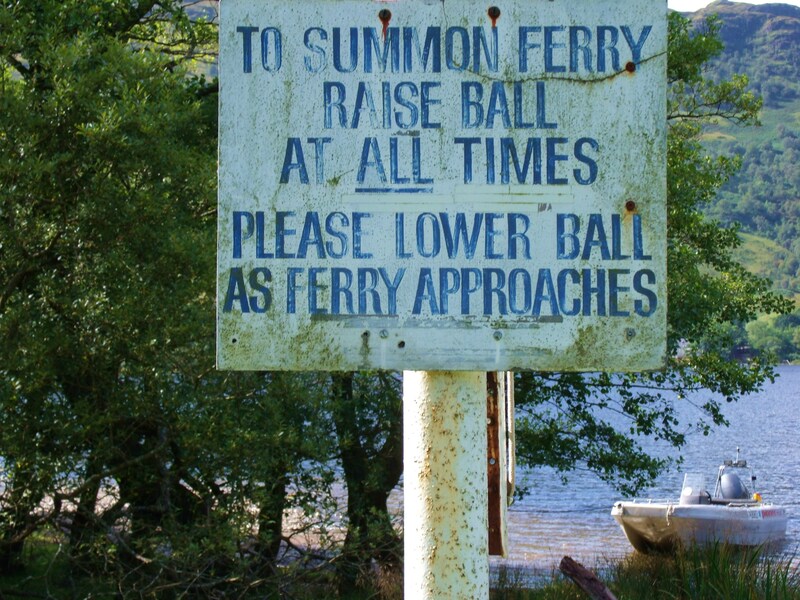 From the pier at Inveruglas, the 5 mile route to Loch sloy is signposted. Hikers should be prepared for some uphill walking, I suspect. To reach Ardlui by public transport I had to take the Glasgow to the Isle of Skye bus which I caught at a layby on the A82 near Balloch. 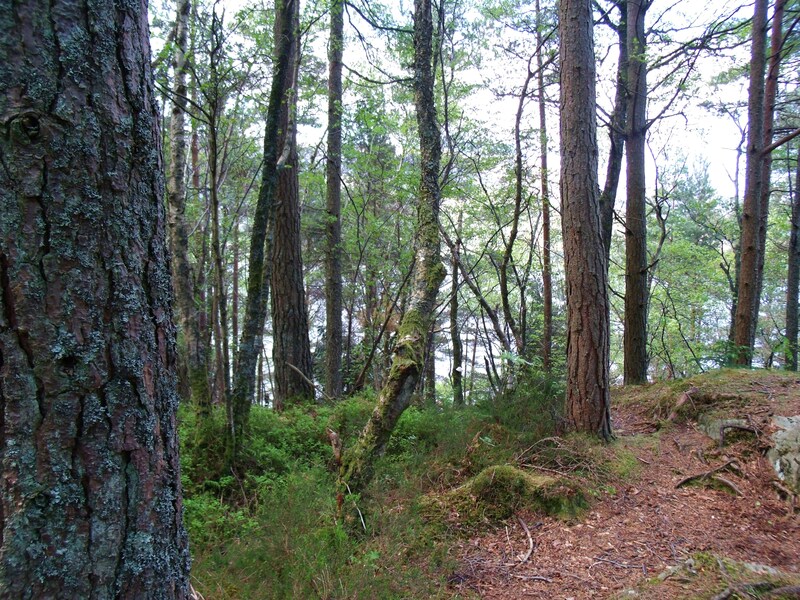 Visible from here, one can see the trail that branches off to the left up ahead. 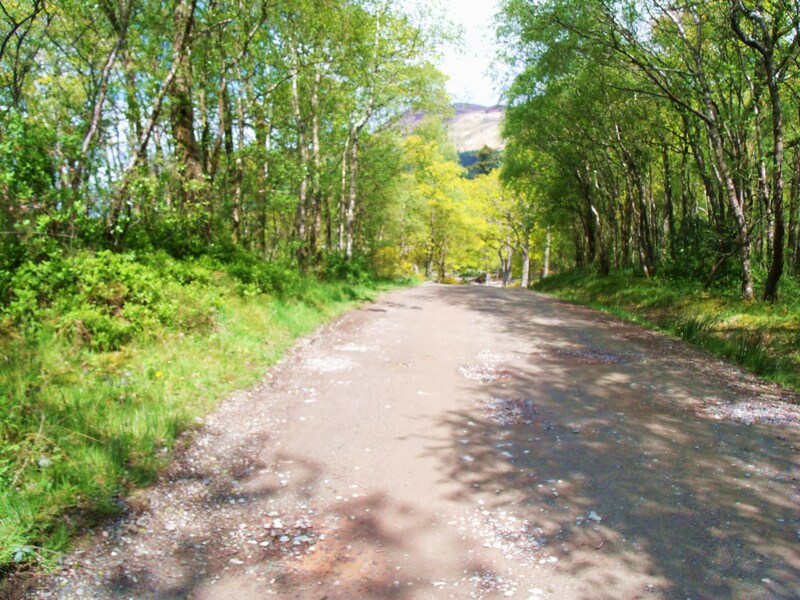 This leads to Arrochar. 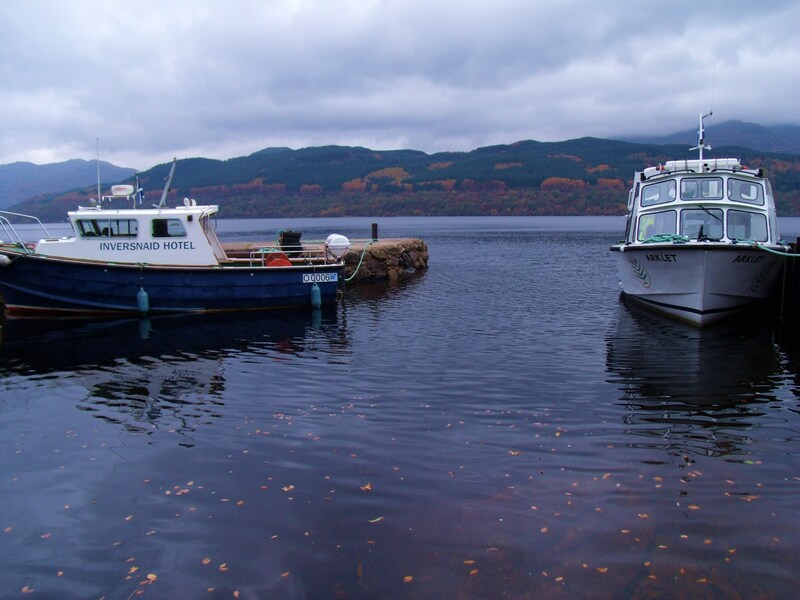 Having reached my limit of endurance and time, I retraced my steps to the dock, hoisted the bouy and was duly transported back across the loch by the local ferry. 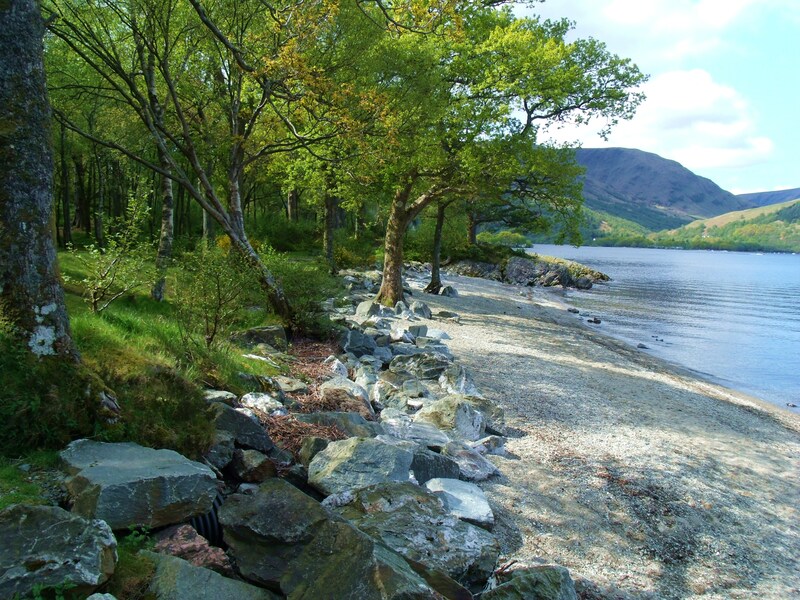 Taking advantage of my newly discovered Glasgow to the Isle of Skye bus service, I realised that, just because I had run out of Loch Lomond, I could still hop on and off the West Highland Way all the way to its ending in Fort William. 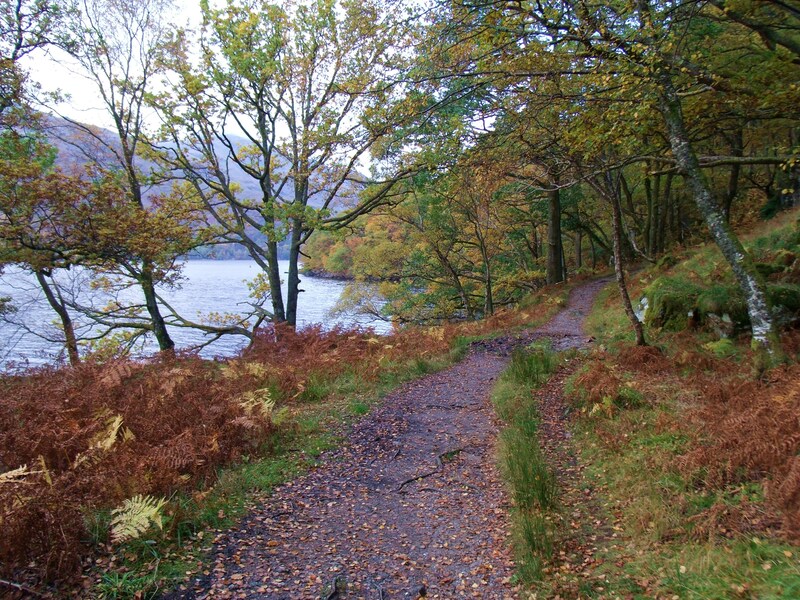 The next part of the hike on the West Highland Way is long and arduous. 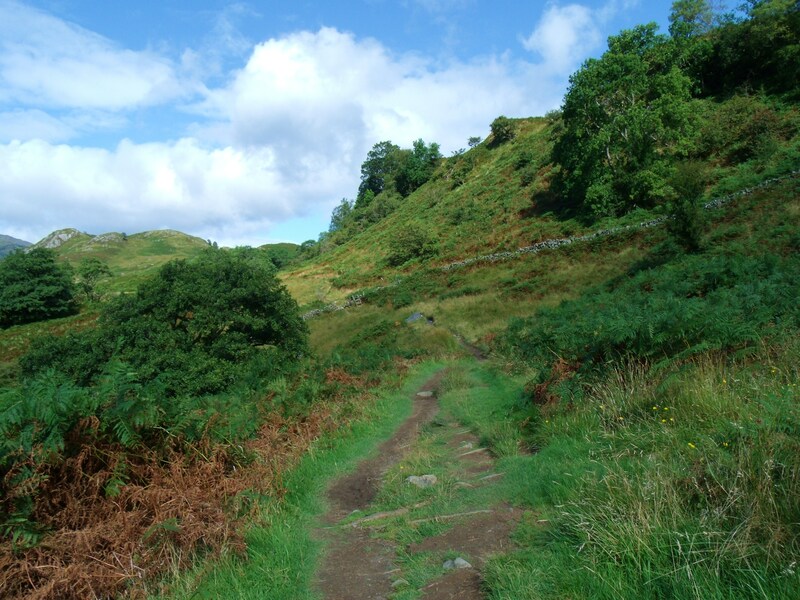 Some of the time, the trail shadows the road (A83), through Glen Falloch then for an interminable seeming stretch through mountainous terrain. 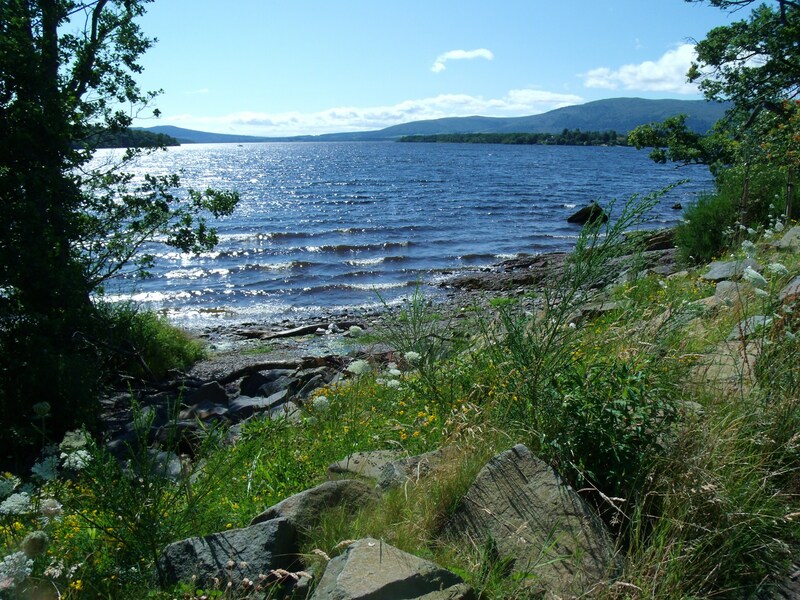 Finally, both bus passengers and hikers climb the 1,500 feet or so to the vast, wild expanse of Rannoch Moor. 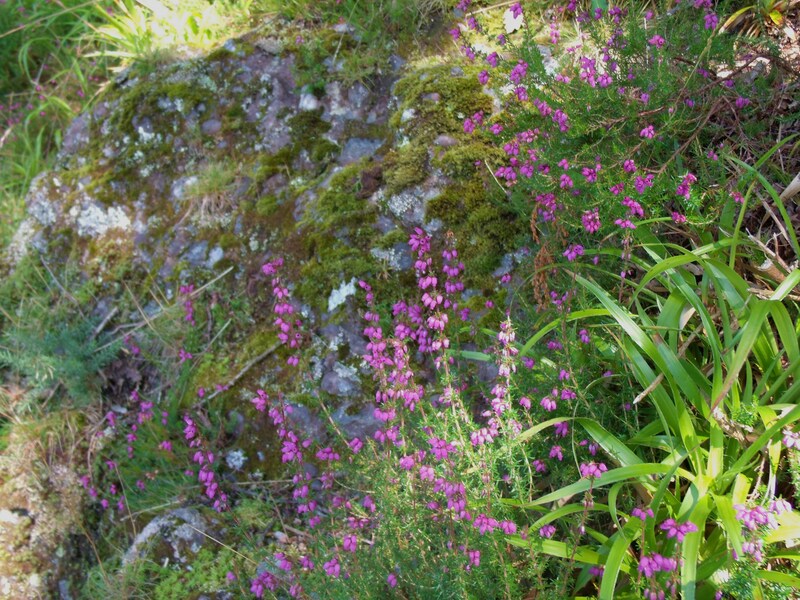 Abundant in Lochans sparkling among the peat and heather, the beauty is unique and beyond words. These next two photos were taken from the bus window. 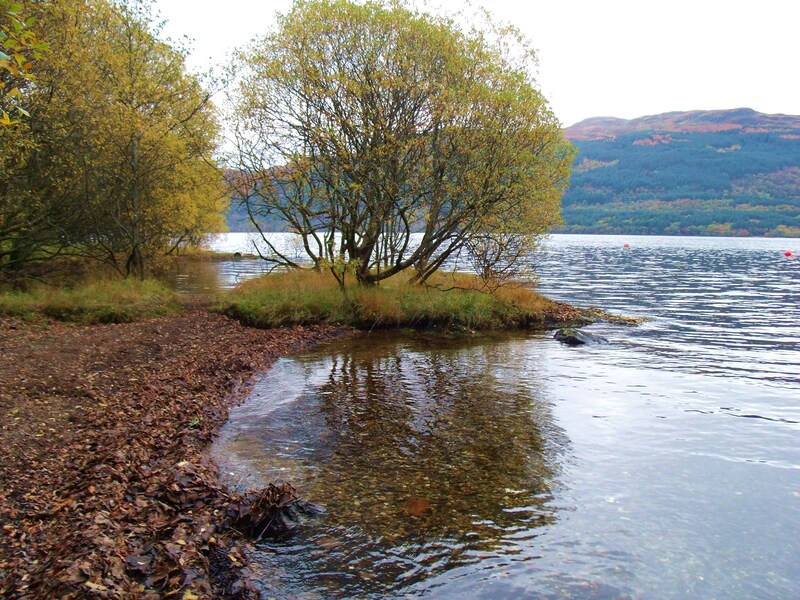 To continue with Part Two, Rannoch Moor and Glencoe, click on the following link to be provided shortly.